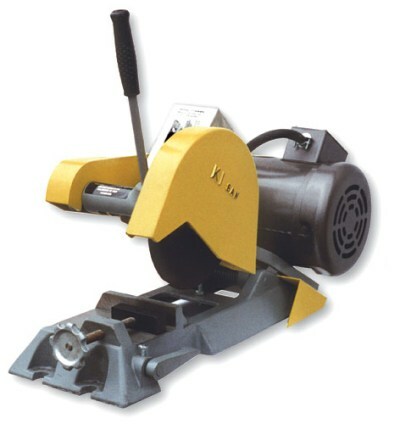 More capacity, cuts 1-1/2″ solid, 2″ pipe. Please specify voltage. With switch; less abrasive wheel. Model: K8B-1 3 hp, 1 ph. Model: K8B-3 3 hp, 3 ph.